The No. 7 Tennessee Volunteers do not have to wait long to get a shot at vengeance against the No. 4 Kentucky Wildcats. 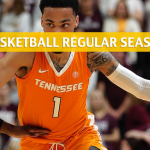 For the second time in less than two weeks, the Vols and the Wildcats will meet again, this time in Knoxville, where Tennessee will look to get even with John Calipari’s boys. The Volunteers are +700 to win the national title, while the Wildcats have a price of +800 to take home the crown. Watch out, the Wildcats are peaking. 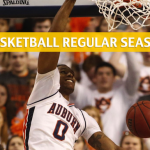 That’s notwithstanding the controversial close loss to the LSU Tigers on Feb. 12. 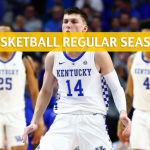 Since then, the Wildcats have gone 3-0 SU (pending a meeting with the Arkansas Razorbacks in Lexington this Wednesday),a stretch that includes Kentucky’s 86-69 home win over the Volunteers on Feb. 16. In that game, Kentucky played excellently on both ends of the floor. The Wildcats shot 54.7 percent from the floor and held the usually prolific Tennessee offense down to only 40.7 percent shooting. PJ Washington dominated the interior with 23 points and five rebounds, while the backcourt tandem of Keldon Johnson and Tyler Herro combined for 34 points and 17 boards. Speaking of which, Kentucky out-rebounded Tennessee by a wide margin, 39-26. That kind of dominance on the glass will go a long way in a game against Tennessee, a team that will make opponents pay if allowed to have too many second chances on offense. 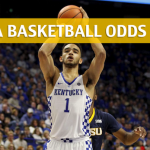 Kentucky is 6-2 against the spread (ATS) this season on the road. Tennessee suddenly looks wobbly. 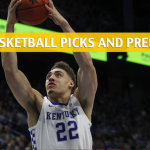 After losing to Kentucky, the Vols won 58-46 at home over the Vanderbilt Commodores and got outlasted by LSU in Baton Rouge, 82-80. 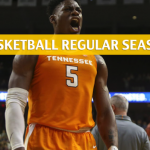 The loss to the Tigers wasted a tremendous effort from Admiral Schofield, who pumped out 27 points on 11-for-22 shooting from the field to go with nine rebounds and three assists. Grant Williams, meanwhile, had 18 points and nine rebounds. The Vols are having problems with their accuracy. They are fourth in the nation this season with a 50.2 field goal shooting percentage, but has knocked down just 42.3 percent of their shots from the floor over their last three games. That partly explains why they are only scoring 69.0 points over that same stretch. They squeaked passed the Ole Miss Rebels 73-71 in another shaky one on Wednesday, with Williams pouring in 21 points in a close call. Perhaps it’s Tennessee’s defense that needs more fixing in the rematch with Kentucky, especially in terms of containing the Wildcats’ guards. That would be a big assignment for the pair of Lamonte Turner and Jordan Bone, who were outscored by Johnson and Herro by 11 points in the first meeting. 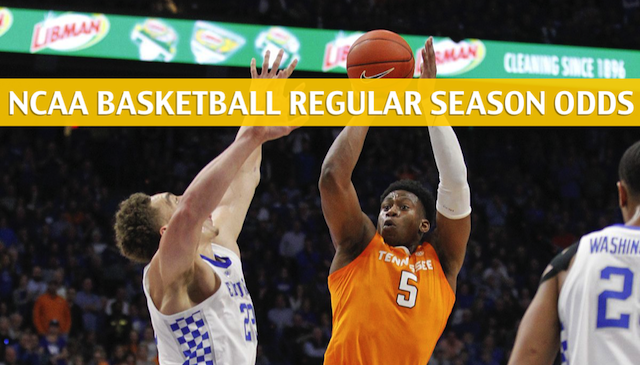 At home so far this season, Tennessee is 18-0 straight up (SU) and 7-8-1 ATS. The Volunteers are also 13-11 ATS after a win.